The 2012 MLS season is a mere stones throw away, and one of world footballs fastest growing leagues is looking to continue the success of 2011 which saw David Beckham’s LA Galaxy lift the MLS cup. 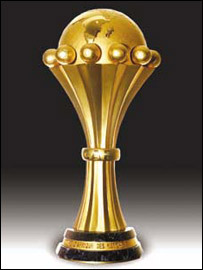 Group D sees the 2nd highest ranked side Ghana hoping to improve on their silver medal in 2010. Group C contains co-hosts Gabon alongside North African behemoths Tunisia and Morocco. Group B sees favourites Ivory Coast’s ‘golden generation’ attempt to prove what their gifted team, possibly the most gifted in African history, can do. As a wise woman once said: Tsamina mina eh eh, Waka Waka eh eh, Tsamina mina zangalewa, Anawa aa, THIS TIME FOR AFRICA. Welcome to the maddest show on earth. This carnival of madness, this time co-hosted by Gabon and Equatorial Guinea, kicks off on January 21st. Here is the first part of our preview.